Are you into food as much as me? 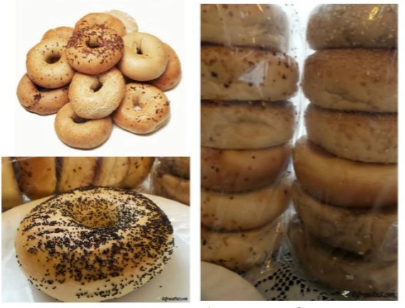 Check out 1800nycbagels they were so good they have all different kinds of favors Plain,Poppy,Sesame,Pumpernickel,Salt Everything,Raisin,Onion,Garlic,Multi-Grain,whole wheat, chocolate chip,Blueberry,and Bialy these are all the favors of there Bagels. These were awesome Bagels they were so fresh and delivered right to my door step straight from New York City. We got to try four different favors from 1800nycbagels of the favors I received the raisin bagel was my favorite. I toasted it then adding cream cheese and WOW! "The taste blowed me away." I cant believe how good these were. They are kosher and preservative free, These bagels come six in a pack but can be ordered my the dozens. 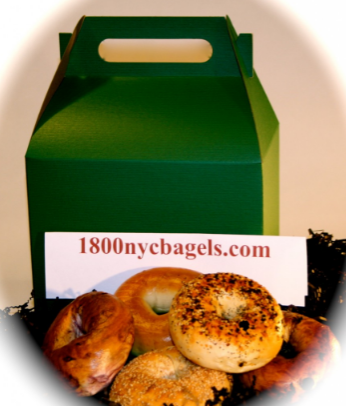 These bagels would be a great idea gift for Valentine's day as it already comes in a cute decorative gift box's. Everybody can use a great tasty treat on Valentine's day.